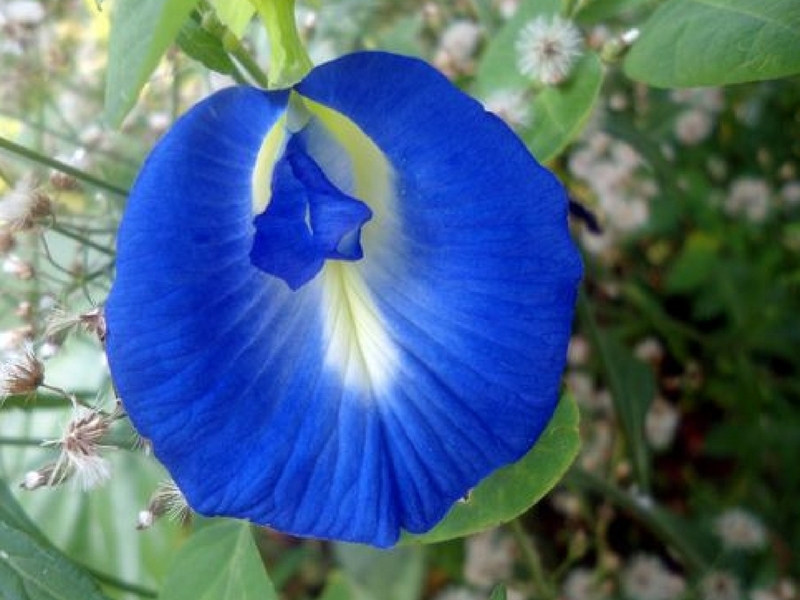 This Little Known Flower Has Healing Properties & Turns Rice Blue - Kauai Seascapes Nursery, Inc. The Butterfly Pea aka Clitoria Ternatea is a legume that grows a Gorgeous Blue Flower. It will find a home just about anywhere and looks exquisite grown in a hanging basket. Pollinators are especially attracted to its deep blue/purple hue. Not only does it boast of beauty but healing properties as well. Most specifically the brain. It is also known as the Brain Power Plant. The Butterfly Pea is mostly used and grown in Asia. It is a secret to health and longevity that is meant to be shared. 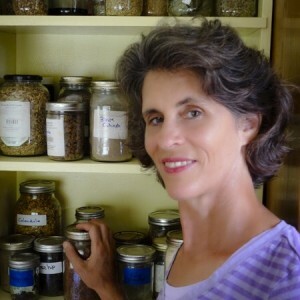 Karen our guest writer, has been asked to share her knowledge of this humble yet powerful plant. Karen, we are all ears! What is the Butterfly Pea? Shaped like a butterfly, the Butterfly Pea is a vining tropical perennial native to Africa whose roots and leaves have numerous healing and medicinal uses. The flower is most commonly seen as a deep blue-purple color. However, depending upon the flavonoid (flavonoids are plant compounds that have a lot of health-enhancing and protective properties) concentration in the flower itself, the flower can vary from white, to light purple or pink in color. The flower is edible and tastes and looks great in a green salad. Flowers bloom for 1 day only, so if not used that day, leave flowers on plant to develop into seed pods. Pinching tops on the vine often will encourage bushier growth. Some of the healing properties of the Butterfly Pea are as follows: memory booster, lowers blood pressure, anti-stress, anti- anxiety, anti-depressant, anti-microbial, anti-inflammatory, pain relieving, anesthetic, lowers blood sugar, insecticidal, anti-asthmatic. Because Butterfly Pea is rich with antimicrobial and anti-inflammatory compounds, the flower can cure eye infections like conjunctivitis (pink eye). Tea made from the leaves help to improve eyesight and help to relieve sore eyes. Blossoms picked early in the morning create the strongest medicine. Steeping them in a glass of water for about 20 minutes creates an effective eye wash that will clear up conjunctivitis within a few days. The resulting eye wash is gentle and completely safe. It does not hurt the delicate tissues of your eyes and works well for children who come down with pink eye. This same mild solution helps to ease itchy skin conditions as the flower naturally contains anesthetic and anti-itching properties. Simply washing the itchy area with flower infused water alleviates the itchiness. One can also use the leaf of the Butterfly Pea. Prepare the leaf by drying it and grinding it into a fine powder. The use of this powder not only enhances memory and brain power it also provides one with a calm, relaxed focus. Butterfly Pea serves as an important anti-aging medicine. When taken it causes the levels of the neurotransmitter, acetylcholine to increase. Acetylcholine is one of the chemicals in the brain that decrease the most with age. Acetylcholine helps to facilitate communication within the brain itself. A lack of it causes messages to travel slowly, to break down or to stop traveling all together. This phenomena is why loss of memory and coordination as you get older is a common consequence of low acetylcholine levels. Butterfly Pea reverses this phenomena. It helps to improve one’s thinking and balance naturally. Both the water and fat-soluble components of the flower appear to be bioactive. So to obtain the full effect of it’s medicinal effects, eat Butterfly Pea with a meal. The leaves will also serve as a remedy for swelling if ground up and combined with salt. To help improve digestion, add fresh leaves to a salad. The vine may also be used as a nutrient dense fodder plant for animals to graze upon. It establishes quickly and easily and makes a perennial, nitrogen fixing root. Butterfly Pea is very tolerant of drought, saline soil, and soda soil. The foliage re-grows quickly after being browsed. In Bali they make a dye from the flowers which they use for both painting and as a food coloring. Blue food coloring is made by grinding the leaves with a little water. If lemon or lime juice is added, the acid content will cause the dye color to turn purple. 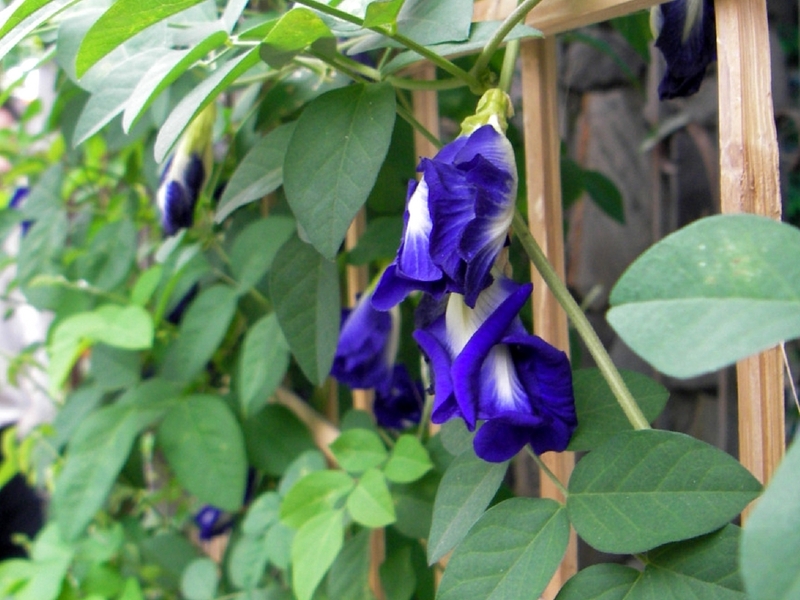 The Butterfly Pea vine creates a seed by having the flower dry on the vine. Once dry the flower turns into a bean pod. Seeds from this bean pod can be propagated to grow a new vine. One must scarify the seed prior to planting by nicking a small notch on one side or by rubbing briefly on medium grit sandpaper, soak overnight and sow warm. Finally, here is a tasty way to consume this powerhouse. 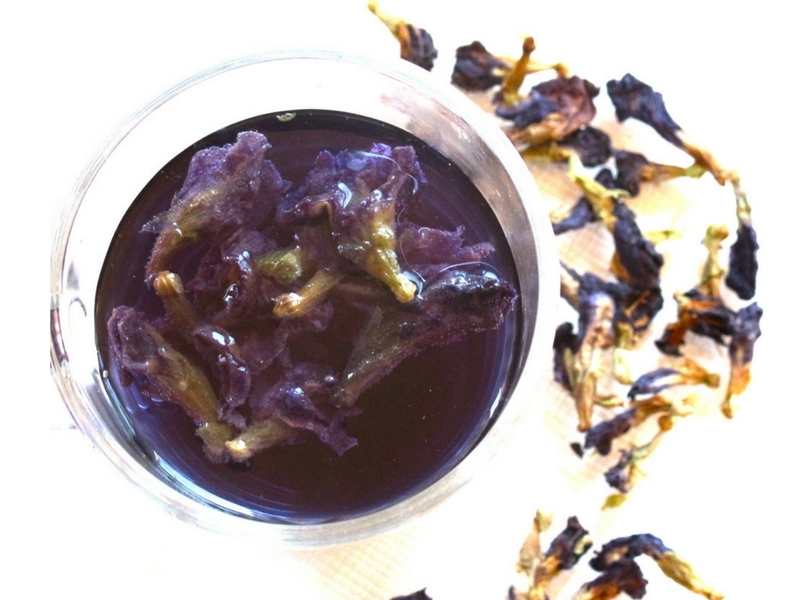 Boil Butterfly Pea flowers in water. Cool blue water and pour over rice. Soak rice in water for 1 hour. Strain and steam rice over high heat for 30 minutes. Pour coconut milk and salt over the rice and mix well. Cover the rice and steam for another 20 minutes. Let cool and serve on banana leaf. Then melt sugar in about 3oz of water. Grate coconut and add to sugar water. Cook mixture over medium heat for 10 minutes or until sticky-looking. Add and stir in the rice flour, then allow to cool. 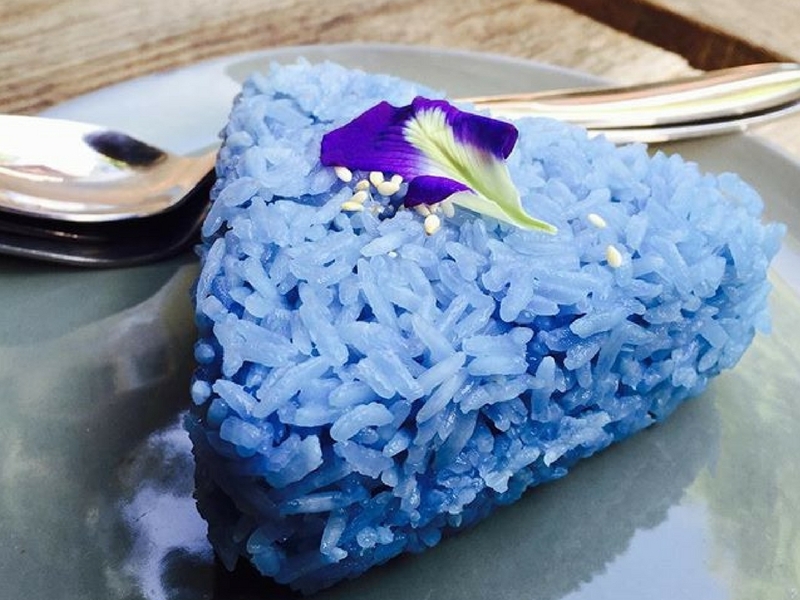 Roll the coconut/sugar/rice mixture into a ball and place on top of the blue rice. Serve and enjoy! We hope you’ve enjoyed getting to know this powerhouse of a plant. If you’re interested in growing such a versatile and medicinal beauty subscribe to our monthly newsletter. This month, We’re giving away free Butterfly Pea plants to a few lucky subscribers. Lawai. Keep up the good work….plants make me feel happy! After staining the rice, how do we steam them. Can we cook it in rice cooker? Do we need to leave some water for it to cook? Absolutely beautiful post. I knew this amazing flower was powerful but THIS POWERFUL? Wow! Thanks for sharing.